Home values in a highly competitive Philadelphia market - newly reclassified by the real estate search engine Zillow as "very hot" - finished the first quarter of 2016 higher than the peak they reached just before the housing bubble burst in 2007. "[This] implies that all of the losses in house values due to the bubble's deflation and subsequent recession have now been recovered. The average Philadelphia home has achieved a new all-time high in value," said Kevin Gillen, chief economist for Meyers Research and senior research fellow at Drexel University's Lindy Institute for Urban Innovation. The data, collected from the city recorder of deeds, cover only single-family homes. They do not include condominiums, which Gillen puts in the multifamily home category. Also not included in the data is the suburban real estate market, which has been experiencing slower and inconsistent improvement, Gillen said. During the real estate downturn, prices in the city fell 22 percent, while in the suburbs prices dropped 25 percent. Overall, this region has lagged the national recovery since the market hit bottom, he added. Gillen's home-price index, which had a baseline of 100 in 1980, reached 473.5 in the first quarter of this year. The previous peak, 466.9, was achieved in second-quarter 2007, he noted. He said his index is estimated in the same way as the S&P/Case-Shiller 20-city and 10-city indexes (neither of which covers Philadelphia), using paired sales of arm's-length home transactions that exclude sheriff's sales and bank sales and paper transactions. Exact comparisons (using city-only sales, and no condos) were not readily at hand, but Ralph McLaughlin, chief economist for real estate search engine Trulia, noted that February's Case-Shiller 20-city index reported seven metro areas with greater price increases that month than in January 2016. Portland, Ore., Seattle and Denver reported the highest year-over-year price gains, McLaughlin said, with Portland leading the way at 11.9 percent, followed by Seattle at 11 percent and Denver at 9.7 percent. This year's data for Philadelphia show that sales volume within the city limits had its best first quarter since 2008, showing an increase of 6 percent from fourth quarter 2015 and a 28 percent rise over first quarter 2015. First-quarter sales for 2016 totaled 3,915 versus 3,061 one year ago, well above the city's historic quarterly average of 3,811, Gillen said. This was the first fall-to-winter increase since 2002 to 2003, he noted. Typically, sales volume declines from the fourth quarter to the first, no matter the condition of the market. Recently, however, the local real estate market has been extremely competitive, a reflection of the continuing short supply of houses for sale. "From Kensington to deep in South Philadelphia and Front Street to West Philly, all the neighborhoods are hot," said Mike McCann, of Berkshire Hathaway Home Services Fox & Roach Realtors in Center City. "It's the most exciting time in my 29 years. The positive energy is unbelievable." 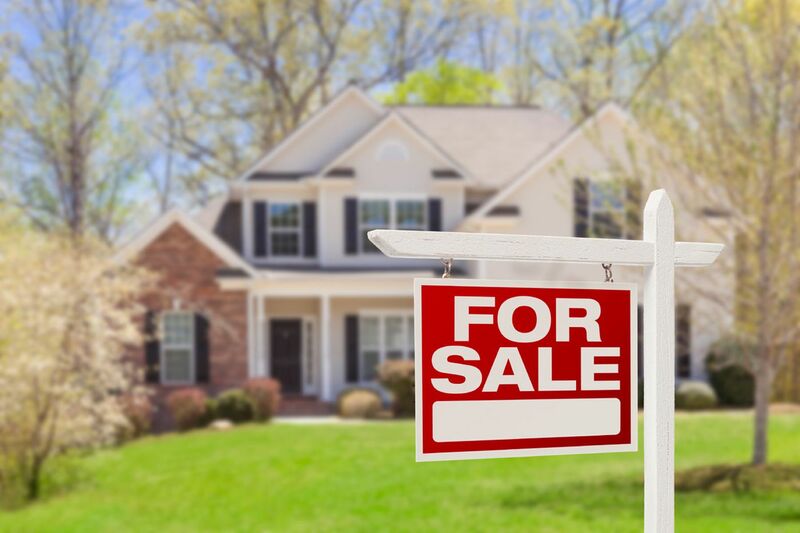 In the first quarter, "we were able to drive demand to listings that buyers passed on just a month before," said Mickey Pascarella of Keller Williams Real Estate. "And for well-conditioned listings, we saw multiple-offer situations, even on homes in 'B' and 'C' locations," he said. In East Passyunk, the first-quarter engine has been chugging profitably into the spring market. Jeanne Simmone sold her late son's house on the 1900 block of South Warnock Street in early May in four days for $210,000, $10,000 more than the asking price. "I knew it would be quick," said Simmone. "Real estate around here is going crazy." Her son bought the house in February 2008 for $115,000, sales records show, a month after the foreclosure was bought back by the lender at sheriff's sale for just $7,100. "There were days in the first quarter we were having 10 settlements a day," said Chris Somers, owner of Re/Max Access in Northern Liberties. And, as Simmone's experience proves, the boom is continuing. "In April, our office had 137 settlements, 67 on the listing side and 66 on the purchase side, and that does not include rentals," Somers said. "Expect the momentum to continue as inventory remains low with demand high, especially in the $300,000-to-$500,000 range." Although condos are not included in Gillen's analysis, Realtor Allan Domb said, "I believe condo sales mirror townhome sales, but I also believe we passed 2007 levels 18 months ago. "We have had tremendous growth in building the base of taxpayers coming into the city, which helps us broaden our taxpaying base, and this is very important," Domb said. Well into the second quarter, buyers competing for desirable properties have sent many sections of the city back into boom mode. "I think that the lack of inventory is helping to push up prices, and appraisers are being more lenient in their appraisals, which is also fueling the uptick in price," said Ruth Feldman, of Weichert Realtors/McCarthy Associates in Mount Airy. With the number of houses for sale "way, way down," said Realtor Christopher J. Artur in Mayfair, "the homes in the best condition are flying off the market quickly at record prices." He cited West Mayfair and the Far Northeast as examples. That shortage has sellers "looking at the highest sale prices since the crash," said Carol McCann, of Re/Max Millennium in Fox Chase. Multiple offers are pushing prices up, in some cases above asking prices. The caveat, of course, is that not every house or neighborhood has recovered lost value, said Jeff Block, of Berkshire Hathaway Home Services Fox & Roach Realtors in Center City. "From an aggregate standpoint, losses have been erased, but it is totally case-by-case," Block said. In South Philadelphia, for instance, "we have not yet seen the full recapture of loss in value since the 2007 recession," said Realtor Barbara Capozzi. "The overall mood of buyers is still cautious and very troubled." The explosion of construction in the city's emerging neighborhoods also might be contributing to rising prices. Developer Nino Cutrufello of Callahan Ward Cos. said the increases "strongly correlate with ever larger homes being built" in those neighborhoods, with projects of 10 or more single-family homes being marketed for $800,000 to $1 million. "In my mind, it's the reason, and a quick drive through NoLibs/Fishtown/South Kensington would validate that theory," said Sean Killeen, of AGA Developers, who added that it is "less about value recovery and more about value creation." David Waxman, of MM Partners, said that "the argument can be made that Philadelphia was undervalued for a long time, probably still is and finally starting to catch up." Gillen said the price recovery means that the city's market now can be restored "to a more balanced operational momentum." "After nine years of collapse followed by a sluggish recovery, it is about damn time," he said.